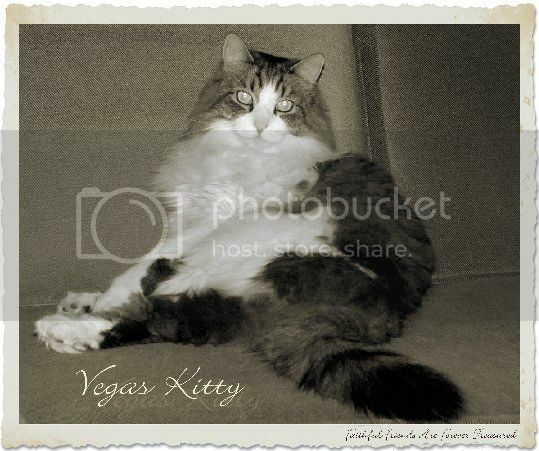 A memorial song for a beautiful cat named Vegas Nevada, family member of Maura and Paul a.k.a. Zest. 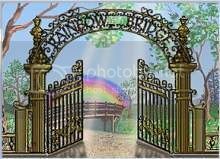 Vegas is cherished in our hearts and lives through the unconditional love he gave us so freely. We are honored to have had Vegas in our lives. He brought us joy and companionship with his special attention. Vegas taught us how to love unconditionally. We are grateful to Vegas and shall remember that "he'll be fine" with his companions chasing butterflies on the other side of the rainbow bridge. Rest In Peace beloved beautiful Vegas Boo Boo Boy. You brought the joy in your need to be liked. You rocked with the roll, just one of the gang. You're still by our side where you belong.